Aujourd’hui, I finally tried a recette that I’ve been yearning to attempt ever since I took that first forkful of Mamie‘s recette. It was a breezy, clear summer evening with the sun starting its descent into dreamland. We watched the sunset at Parc de la Torse. At Parc de la Torse, mon chéri and I made ourselves comfortable among the 20 or so American and Canadian study abroad students and their French host families. It was the last pot-luck pic-nic before most of these students were to return back to the US. His grandma, Mamie, loaded a paper plate full of home-made goodies and handed it to me. Needless to say, I was in heaven. I took a bite of her version of Taboulé and I was hooked. I’ve had other store-bought versions; however, as with everything Mamie makes, her version was by far the best. I was determined to try the recette. It took a couple of months before I dared to try it. I put it off for so long because I thought it would be very time consuming. Thankfully, I was wrong. In fact, the recette took about 25 minutes. Taboulé is a very convenient dish because it can be simple or complex. It’s a dish that enables the chef to use ingrédients he/she already has available (which is good if you don’t have a lot of time or money to buy tons of ingrédients) or to buy ingrédients. Also, there’s usually enough for 4 meals. 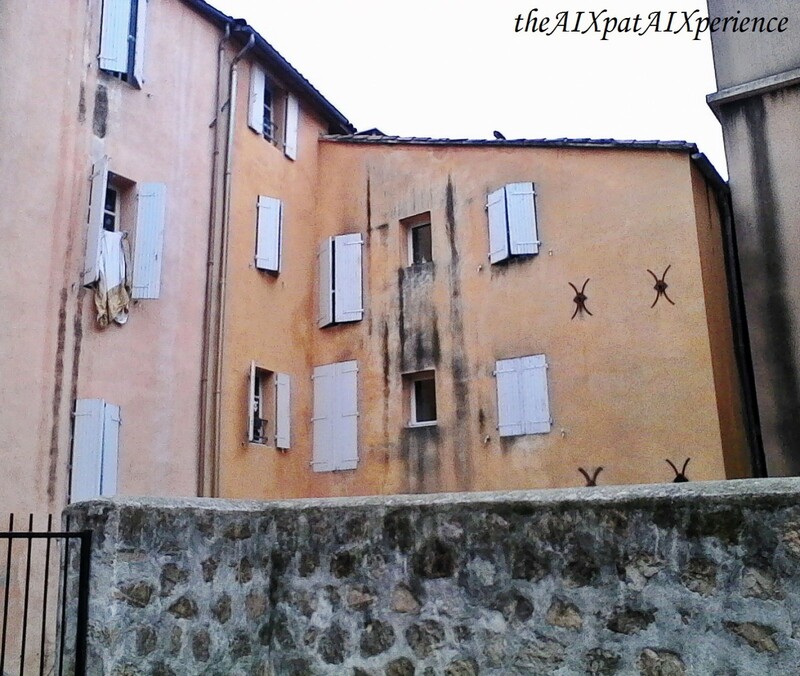 A relaxed liste d’ingrédients + 4 meals = on budget for this happy AIXpat. First, start by filling a pot with couscous and water. If you are using couscous from a box, follow the instructions on the box. It usually takes couscous about 5 minutes to cook. You’ll know it’s done when you use a fork to see if it moves easily or if it sticks together. The latter one signifies that it’s not quite done yet, while the first one tells you that it’s done. Second, while the couscous is cooking, start dicing the vegetables and then place them in another pot. Put huile d’olive in the same pot. Cook the vegetables for 5-10 minutes or until they start becoming a little bit soft. *Note: it is important that you choose vegetables that pair well together. Also, I used what I found in the fridge, but you don’t have to use that many vegetables. The two most important things are: the couscous and the menthe. Third, once the couscous is finished, place it in a large mixing bowl. Lastly, once the vegetables are finished, place them in the same mixing bowl as the couscous. Then, add the sel, poivre, aneth, and jus de citron. Mix well. 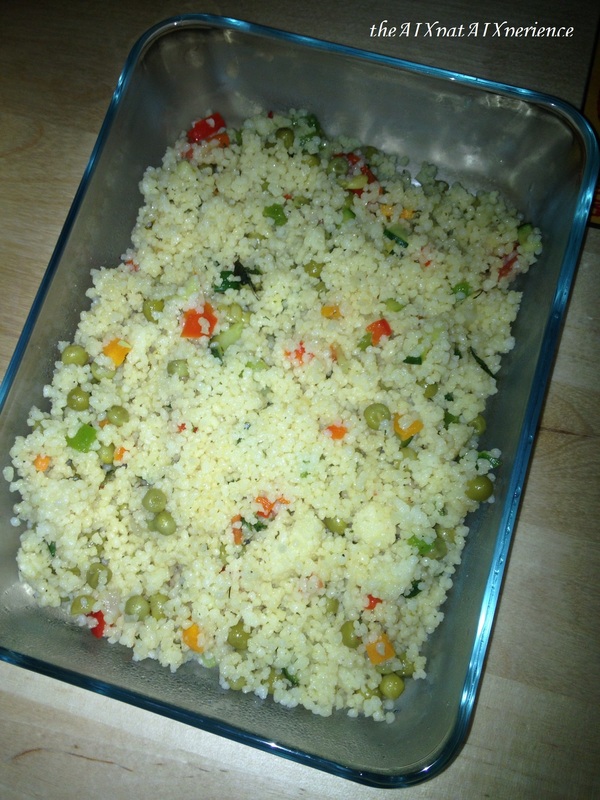 After it’s been mixed, place in the refrigerator for about 3 hours to let the juices mix into the couscous. After that, bon appétit!